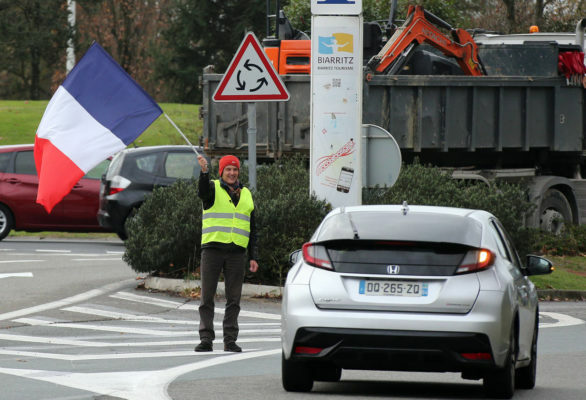 A sixth “yellow vest” protester In France has been killed, this one hit by a truck at a protest roadblock, authorities said Thursday as the movement rocking the country showed no signs of abating. France has raised its threat index to the highest level and deployed 1,800 additional soldiers to help patrol streets and secure crowded events in the wake of the Strasbourg attack. More than 700 officers are involved in the manhunt for the 29-year-old suspect, Cherif Chekatt, who had a long criminal record.